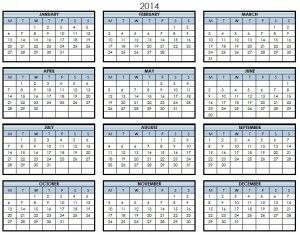 Use this 2014 Printable PDF One Page Calendar Yearly to track your important dates. Print out this calendar and circle your important dates. Download this 2014 Printable PDF One Page Calendar Yearly today!